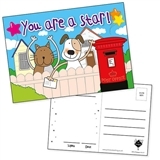 These brilliant Pedagogs 'You are a Star!' 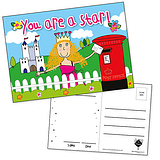 princess postcards are fantastic for rewarding your pupils for their special achievements in class. 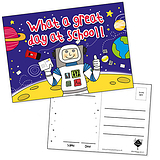 They will love sharing their success at home, encouraging positive reinforcement from parents or guardians.